Unlike the ESB bill, here’s some writing we enjoyed this week. 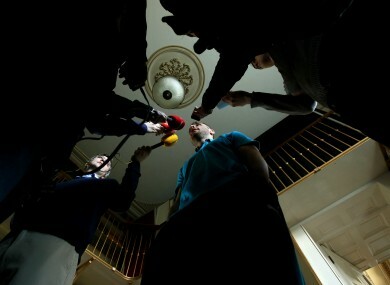 Tommy Bowe faces the press at Carton House this week. O’Reilly has watched this extraordinary fall from grace and questions why Armstrong is now taking sole responsibility for a problem that was endemic in the sport long before he arrived on the scene. Remarkably, she does not want him to suffer alone. Matt Lawton is witness to the reunion of Dubliner Emma O’Reilly and her former friend and colleague Lance Armstrong. Dave Hannigan asks ‘what’s the big deal’ with Ireland’s new UFC star, Conor McGregor. 3. John Moffitt chugged mugs of black coffee and talked almost giddily about how, the week before, he called John Elway, the head of football operations for the Denver Broncos, to tell him he was quitting the National Football League, leaving behind the money and the fame, but also the constant pain and the danger. In parts of three seasons as a guard with the Seattle Seahawks and the Broncos, Moffitt, 27, blew out his knee, had elbow surgery and hurt his shoulders. Sleep apnea left him exhausted. Floaters cross his vision from all the hits to the head he absorbed in his nearly 20 years of playing football. The New York Times’ Ken Belson talks to an offensive lineman who walked away from a world in which ‘humans are merchandised’, the NFL. 4. “Paul Gascoigne epitomises why England can’t progress. I don’t know the lad, and I know that he has had his problems off the field, so I’m not knocking him. He was immensely talented and a bit of a character too. I’m just saying that if you asked England fans to name recent England greats, Gascoigne’s name would most likely get a mention. He’s loved in a way that could not happen in Germany. In an extract from his book in the Indy, Dietmar Hamann compares Gazza and Michael Ballack to show the difference between England and Germany’s football fortunes. Henry Winter interviews Ryan Giggs to mark his 40th birthday ahead of a game in his birthplace, Cardiff. Email “Lance's apology, Gazza's tears and the Late Late: it's our favourite sports writing”. Feedback on “Lance's apology, Gazza's tears and the Late Late: it's our favourite sports writing”.